Ace of Base Backstage at the Billboard Awards, in Universal City, Calif, 1994. In the early 1990's, Ace of Base - consisting of Ulf Ekberg and siblings Malin "Linn" Berggren, Jenny Berggren and Jonas Berggren - was on top of the world. With chart-topping hits like "All That She Wants," "Don't Turn Around" and of course, "The Sign," Ace of Base quickly took over the airwaves. In fact, the band's 1993 studio album, "The Sign" ended up being certified platinum nine times in the United States alone, selling more than 9 million copies. The band would continue to release other studio albums through 2002, but took a break in 2003 only to reunite years later without Malin. Since then, other members have come and gone, but the music's influence over the years in undeniable. ABC News caught up with Ekberg to find out what the group's been up to over the past decade. Ekberg, 44, said Ace of Base was one of the first bands to work with technology, so it should come as no surprise that he's now working with tech startups. "There’s so many tech companies in Sweden, especially Stockholm," he said. "I’m interested in creating a sector in technology and music. I’m building companies, and it's been a fantastic last five years. It feels like everything is exploding here." Ekberg is working with several companies, including Nordic Ventures, which takes an active role in helping other companies off the ground. "We help them to commercialize the technologies," he said. "We are in a lot of different sectors, but we try to keep it to the creative sectors as much as possible; movies, TV, music and entertainment, which are obviously very close to my heart." Some prominent items Nordic Ventures is working on include an artificial intelligence that gives everyone the ability to play instruments and what Ekberg calls a "Guitar Hero on steroids." Will The Band Reunite Again? 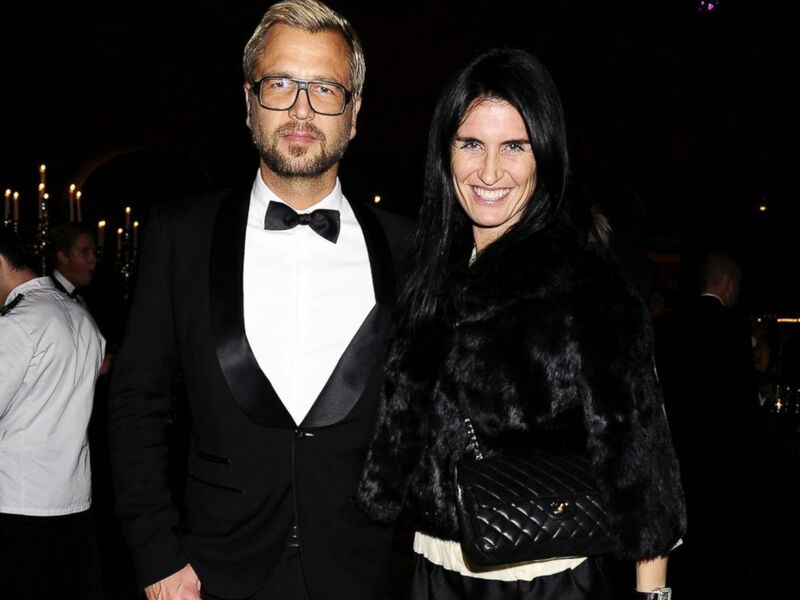 Right now, Ekberg is focused on investing, though he still keeps in touch with some of the founding members of Ace of Base, including Jonas. Jenny is still working in the business and released her solo album "My Story" five years ago. "We haven’t really sat down and discussed [a comeback]," Ekberg said. "We did one in the 2000’s...we did three world tours. Our last concert, we expected 100,000 people to show up and 200,000 showed. It’s staggering. If I'm never going to be on a stage again, this is the best exit ever." He continued: "With the right elements in the next few years, I don’t think its impossible," he said. "There are a few things that have to come together. First thing, Malin will never be part of that if it happens. She left the band and we promised her to never even ask to come back. She's done with entertainment industry. It's understandable. It’s brutal from the inside, it was not for her. She has no craving to be famous, she loved her fans, but the fame factor was not for her." Was Huge Success a Good Thing? "If you ask all four of us in the band, you will get four very diff answers," he explains. "I loved every second of it. I love to travel, I love to meet people, I love to learn things. Also, it was a very interesting time to break through -- '92, '93, the Berlin Wall came down, the Cold War was just over. I really developed as a human being and became humbled to what’s outside [Sweden]. We live in a nice, little country, but when you travel to Africa, Asia, and even parts of the U.S., you see what the real world looks like." Ekberg added that the band toured so much around that time that there was no single moment the group realized they had made it. PHOTO:Julia Williamson and Ulf Ekberg of the band Ace of Base performs live on stage at the Carioca Club, Nov. 29, 2011 in Sao Paulo. In 1992, Ace of Base finally hit the music charts in Denmark and that was more important to the group than hitting No. 1 in America. "That was our world," he said. "When we hit No. 1 in the U.S., we were touring South America," he said. "We were so exhausted. My cell rings and they called to tell us we had finally hit No. 1 in America. I had to wake everybody up. We had just one beer, so we opened it up and had a little toast, then everyone went back to sleep." In the mid-1980's, the group was also producing for other bands and working in a little rehearsal space. A reggae band was also working in the space, which ended up being a future influence for Ace of Base's unique sound. "They came into the room, they asked if we could produce a song with them, and so we experimented with reggae – that’s the foundation of what our music became," Ekberg said. The story of the name is a very different tale. Ace of Base was known as Tech Noir, but Ekberg explains that a Swedish magazine had written a bad review about another band with the same name. "Jonas and I were like, 'If we are going to do this, we don’t want to be compared to this other band, we have to find new name,'" he explained. "It was 1990 and I was hungover after a party at some chick’s apartment," Ekberg said. "I was watching MTV, and the song 'Ace of Spades' comes on. I turned it up and using my weird mind, I played around with words. I thought, 'Ace of Base' is quite a cool name." PHOTO:Ulf Ekberg and Johanna Aybar attend the "Skyfall" premiere in Stockholm, Oct.24, 2012. Martin Dodd, who worked for Danish label Mega Records, bought the band's contract for a measly $2,000 from a smaller label while Ace of Base was still young. Ekberg doesn't blame the person who sold the band, but jokes that he made a "small mistake." Dodd later left Mega Records and signed Britney Spears. He also worked with the Backstreet Boys and N'Sync. When those bands failed to catch on with U.S. consumers, Dodd decided to bring these bands overseas, where Ace of Base had made its mark. "That’s how all these American bands started coming here," Ekberg said. Around 2007 Britney Spears recorded an "All That She Wants" cover because of the Dodd connection. "They wanted to release it, but that was a difficult time for her," Ekberg said, alluding to her rough year. "It was only in Denmark, never finished and didn't end up on her album. It was cool though. She took the choruses, took away the verses and wrote new ones about her mom. It was very strong."